#atomicwallclock How nice is it to have a clock you don't have to set? And if the power goes out, no worries. Accuon Big Digit LCD Wall Clock is a really great clock to have. The clock measures 9 in X 5.75 in, and the digits measure 3.6 in, making it so easy to read. 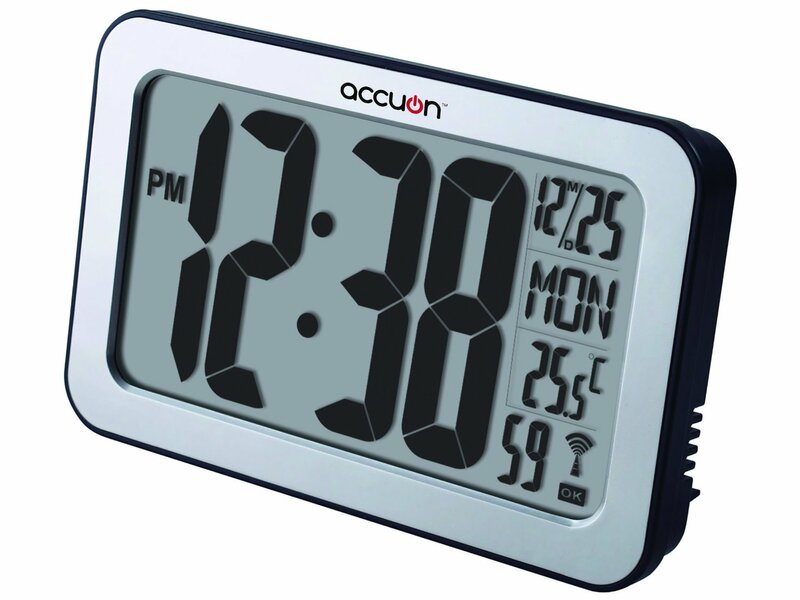 The display not only tells the time, but also the indoor temperature in either Celsius or Fahrenheit,and has a perpetual calendar. This is a self setting clock using radio frequencies transmitted from atomic clock. There are 8 time zones to choose from and the option to turn daylight savings time on or off. Can be wall mounted or it also has a fold out stand to use it on a desk. It operates off 2 AA batteries, that are included. I really like this clock!! I received it for free in exchange for an honest unbiased review.